It’s time again for Red Carpet Tour! Come and meet the new Salvi harp, which will be traveling to three Swiss cities. You are invited to meet the Diva on Thursday, March 15 in Zürich, Friday, March 16 in Winterthur and Sunday, March 17 in Ebikon/Luzern. In every city, a recital by the internationally acclaimed Dutch harpist Gwyneth Wentink will be held. March 15, Zurigo, Music Hug – Limmatquai 28. Start: 11:00 – Concert: 17:00. 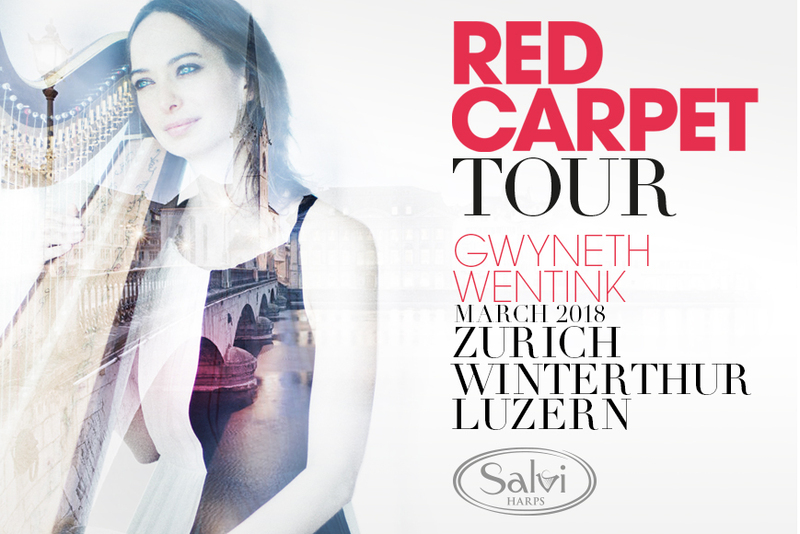 March 16, Winterthur, Musik Spiri – St. Georgenstr. Start: 11:00 – Concert: 17:00. March 17, Ebikon/Luzern, Music Hug – Luzernerstrasse. Start: 11:00 – Concert: 14:00.